I’ve been out of video gaming for a while due to a hectic work schedule and choosing to spend time reading and watching movies instead. The truth is, video games take up a ton of personal time. At this age, I just can’t delve into a game like I used to. I have a pet to feed, a girlfriend to spend time with, groceries to buy, money to make. To cope, I’ve been finding indie games and casual titles to play through in my downtime. Brief, pick-up-and-play experiences I can squeeze into my day. iOS games, Steam indies, you name it. For me, puzzle games are typically my go to choice of genre for quick plays. I aim for games that teeter on that sweet midpoint of mindless gaming and a creative indie design. I’ve been playing a ton of Slayaway Camp on my Macbook recently. It’s great, easy to understand. Its difficulty, pacing and humor makes it all the more reason to continue playing. It’s a sliding puzzle game. You glide your character around a room and attempt to kill all of its innocent victims. Your character halts in place after they make a kill or run into a wall. Your goal is to murder everyone in the room and find a way to glide through a portal that takes you back to hell without getting stuck or killed in the process. On the surface, it’s definitely got its own style and theme that I haven’t found elsewhere, as far as puzzle games are concerned. 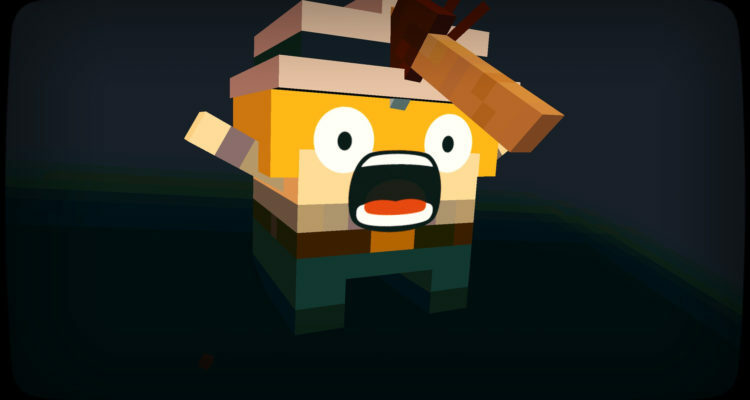 Slayaway Camp is an ode to horror films and slasher flicks. Each set of levels is setup as its own movie entry, shown as a VHS tape. The player must help the movie’s creation by claiming its victims for different scenes. The game does a fine job of incorporating nostalgia and humor as incentive to finishing a chapter of killings. I’ve had a blast unlocking different characters and murdering cutesy pixelated victims in new ways. I’m also enjoying the nods to famous movie slashers/killers, and all of the homages to older horror films. This is definitely a must-play for horror fans, but fans of sliding puzzles won’t find anything unique about this genre’s entry. Slayaway Camp is a solid puzzle game for avid horror fans, but remains yet another sliding puzzle game for casual players. A must-play for horror fans.